Aldo Leopold wrote in A Sand County Almanac, “There are some who can live without wild things and some who cannot.” This year marks the 50th anniversary of passage of Wisconsin’s Wild River Law. There are five rivers designated under Chapter 30.26 of the state statutes, including the Totogatic in Washburn County. Since WCLRA was instrumental in securing this designation in 2009, the WCLRA Board of Directors is planning a small anniversary observance. Rather than a large public event, the Board will meet at the Wozny Road Crossing to view the river and the Totagatic Flowage as part of their August Board meeting. A statewide celebration of the 50th anniversary was held in Florence, Wisconsin on June 13 at the Wild Rivers Interpretive Center. 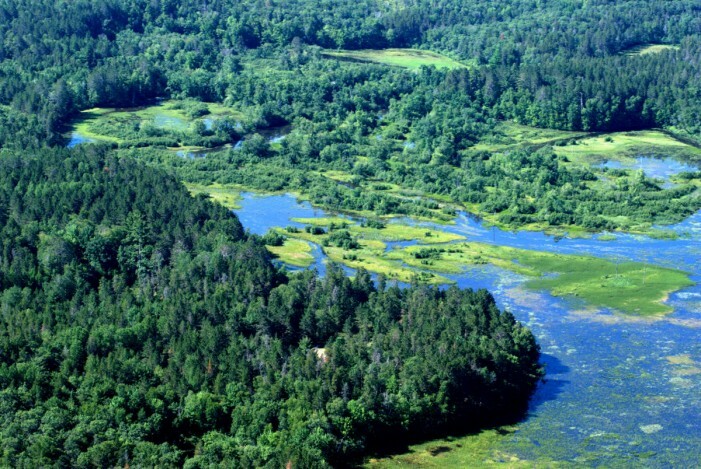 The original legislation designated the Pine, Pike, and Popple in Florence and Marinette counties as the state’s first 3 Wild Rivers. The Brunsweiler in Ashland County and the Totagatic in Bayfield, Sawyer, Douglas, Washburn and Burnett counties were added in 2009. If you get the opportunity to paddle any of our wild gems this summer, consider and appreciate the foresight of our local, county, state, and federal leaders who recognized fifty years ago how precious these rivers would be today for habitat, water quality, natural scenic beauty, and recreation. We encourage you to visit your favorite wild and scenic spot on the water to enjoy, protect, and celebrate this important legacy.